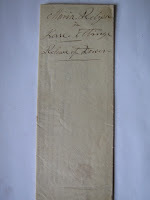 When we arrived at the house we found a package delivered by Lee Reich from across the road. 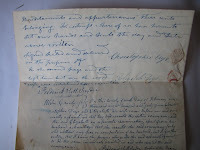 Michael Clinton the painter had mentioned to Russell Gilmore one of the previous owners that he was working on the house and I think this prompted Russell to hand them on to us...For which we are eternally grateful. 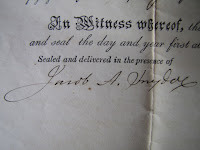 The package contained a file of documents relating to the house. 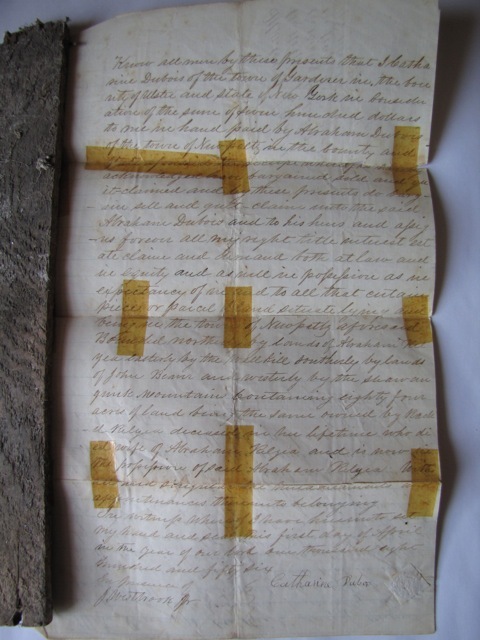 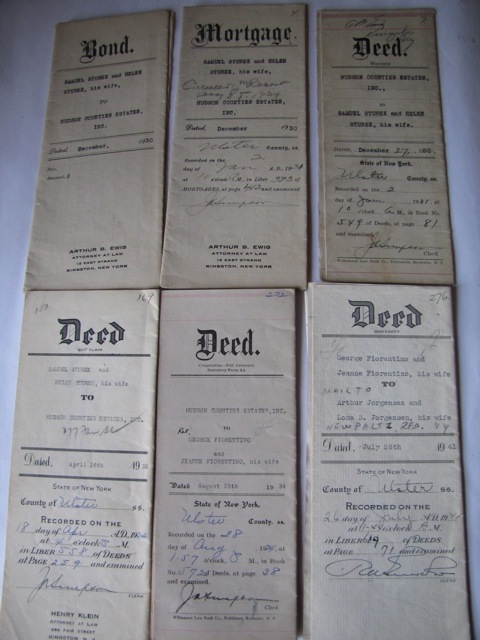 Most of these were the deeds we had already identified as existing but had never seen. 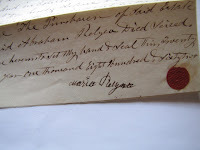 These deeds have the signatures of many of the people we have written about in the history pages this blog but I have never felt this close to them. 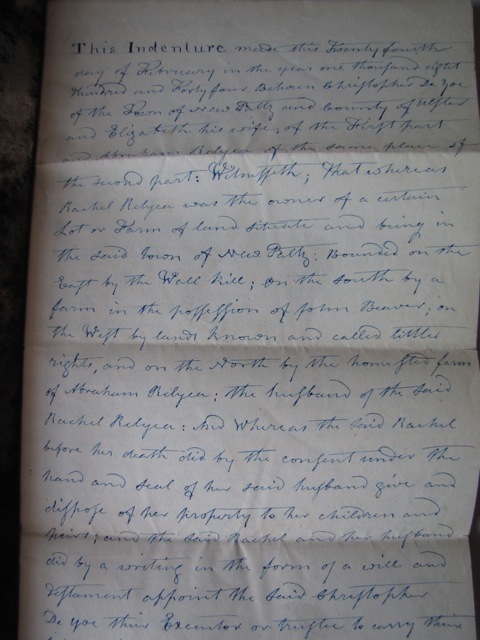 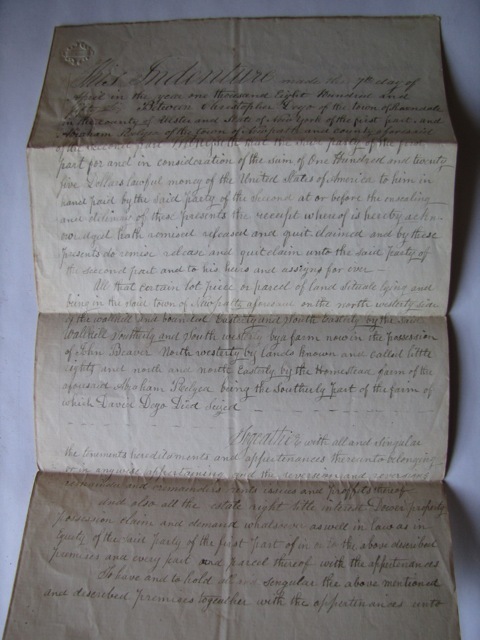 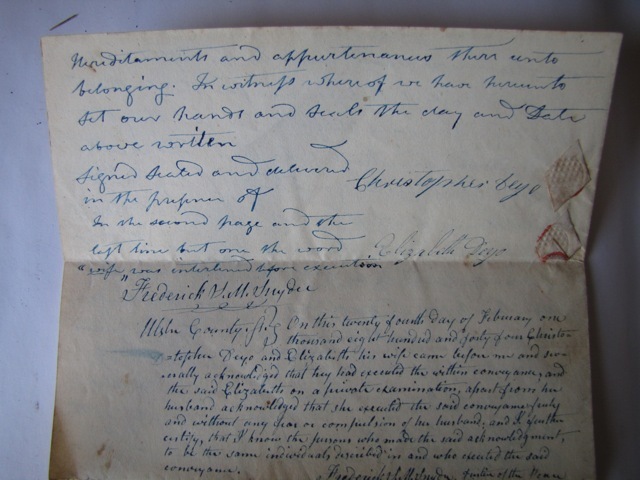 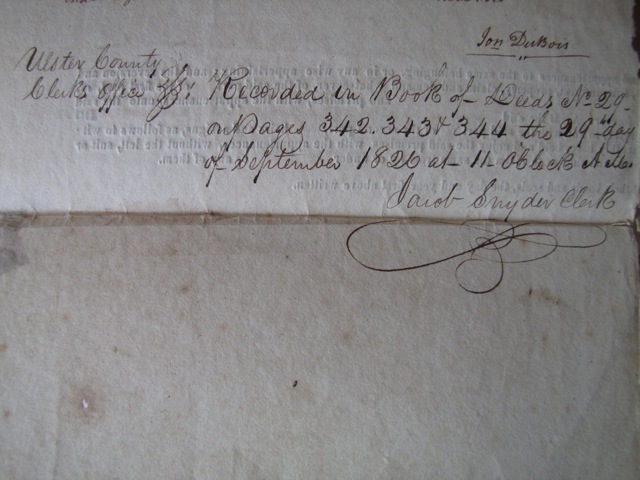 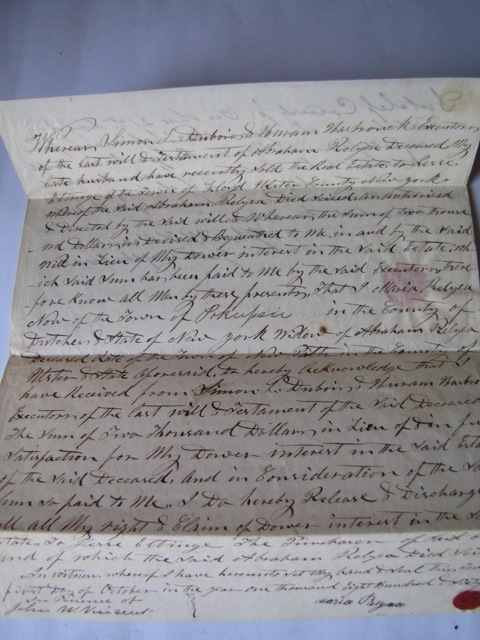 These documents clarify how the house passed from David Deyo, who was the son of Christoffel, to his wife Rachel and then to Abraham Relyea who is named as the owner in a number of maps in 1800's. 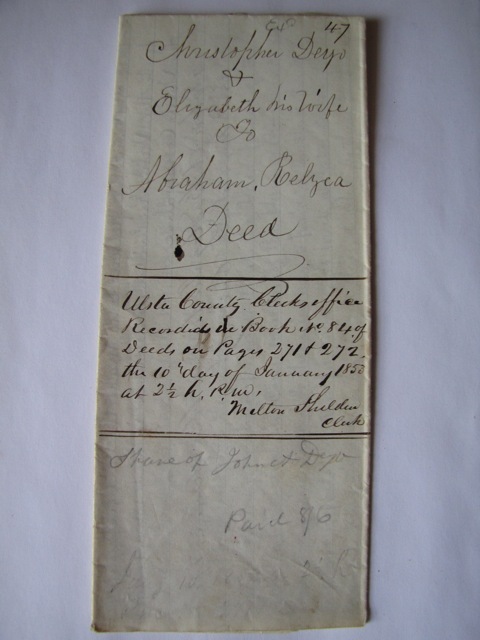 There is also a document that is described as a "Release of Dower" from Abraham's second wife Maria Relyea to Jesse Elting who owned the house from 1862 and was seen in the photo of the house in 1870. 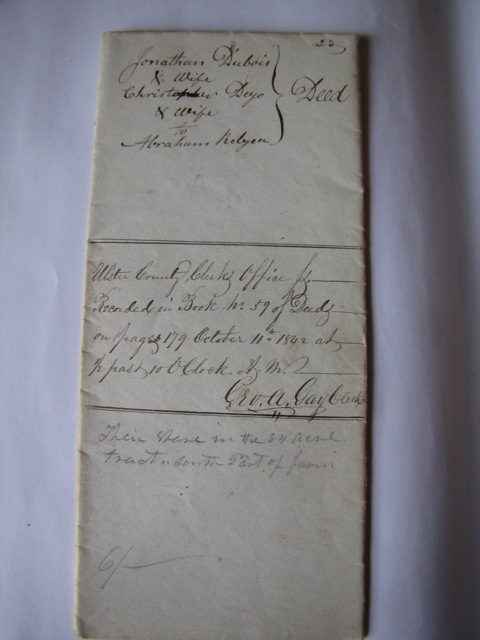 The house was build by Christoffel Deyo in 1740 and extended in 1765. 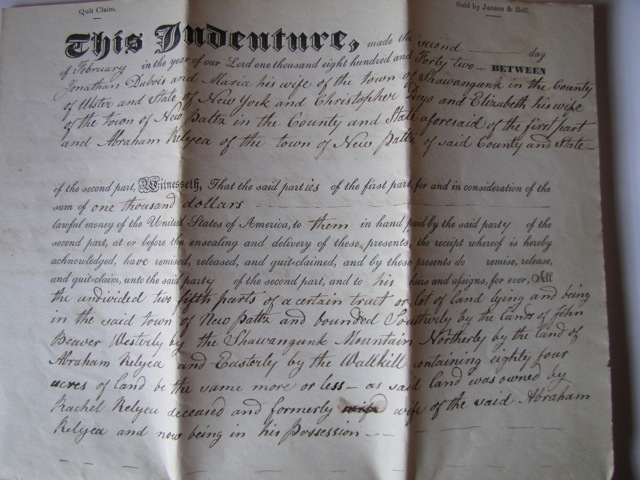 This estate of over 128 acres was passed on to David Deyo and his name can be seen on the map of 1790 and we have documents of the taxes he paid. 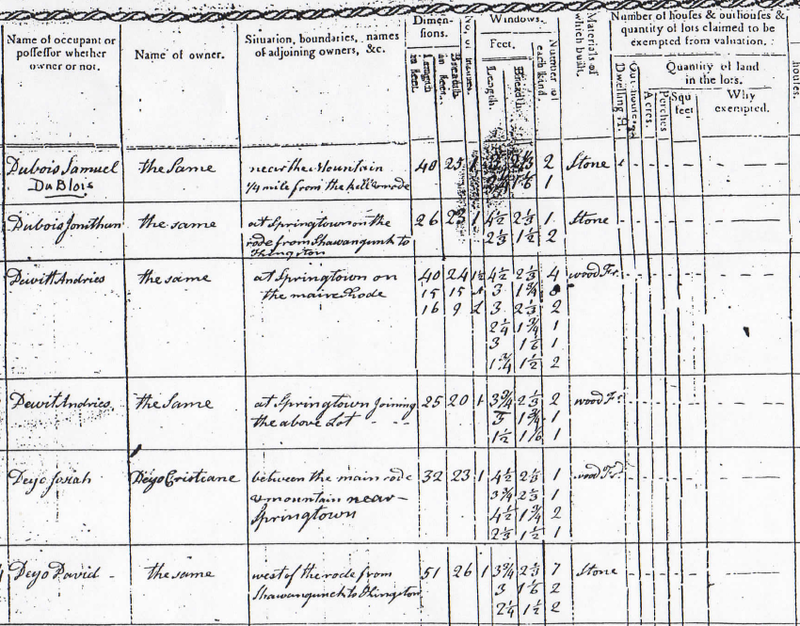 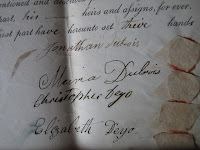 David Deyo (As documented in the Deyo family tree #D-90) marries Rachel Ean in 1792 and they have 5 children: Christopher (#E-306), Catherine (#E-307), Abraham (#E-308) Anna (#E 309) and Maria (#E-310) - interestingly Maria was born one year after the tragic multiple murder suicide of Maria Deyo up the street. 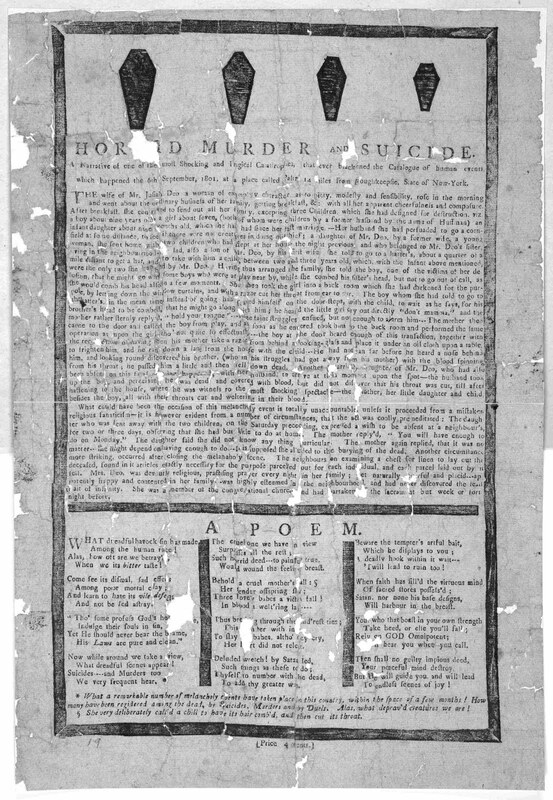 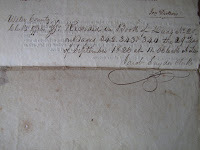 David dies in 1804 leaving his estate to Rachel his wife. 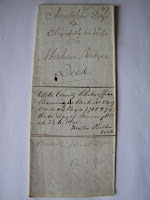 In 1811 Rachel remarries Abraham Relyea and passes the property to him and her 5 children on her death. 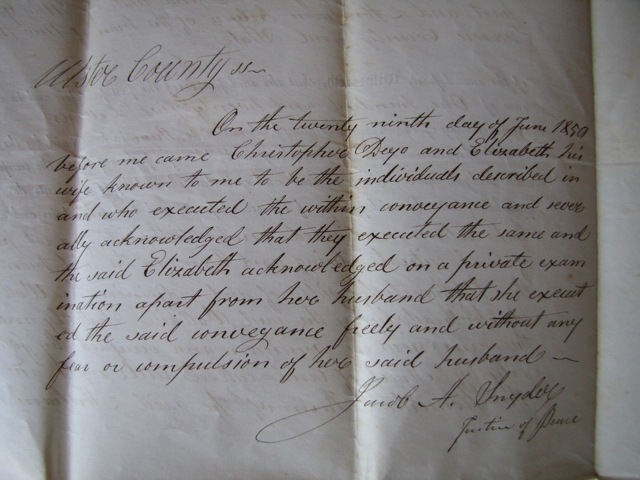 It seems that in Rachel Relyea's will there is an interesting clause about what happens to the property when the children reach the age of 21. 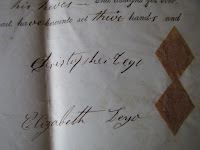 As a result between the period of 1826 and 1862 the children slowly hand back the property to Abraham Relyea. 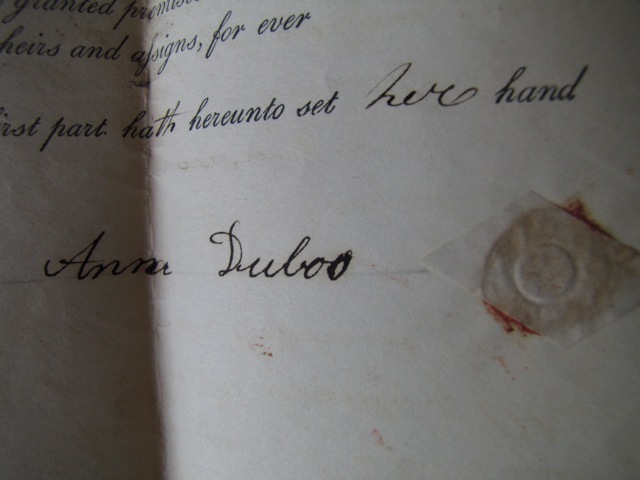 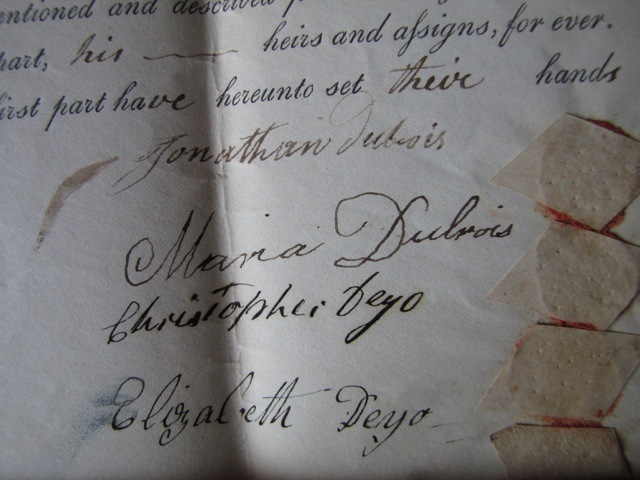 Then in 1842 Maria Deyo, who had married Jonathan Dubois, handed over her portion of the property. 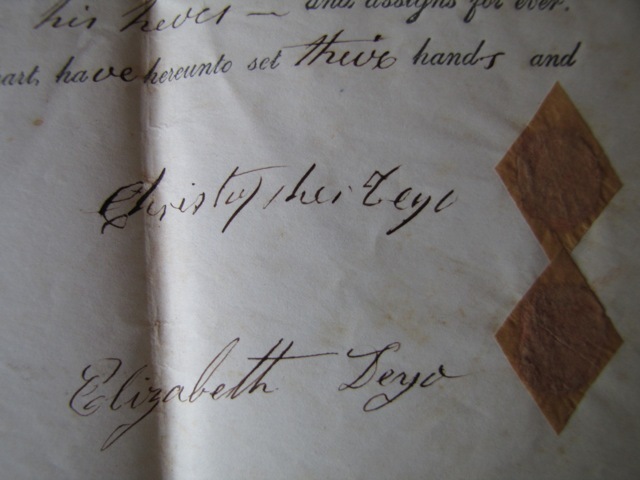 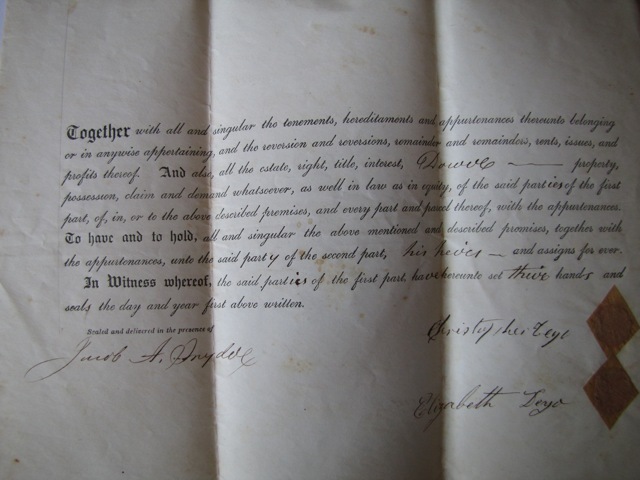 Then it seems in 1844 Abraham Ean Deyo (Deceased) had several children who had inherited his share of the farm and Christopher gave them their inheritance and handed their part of the farm back to Abraham Relyea. 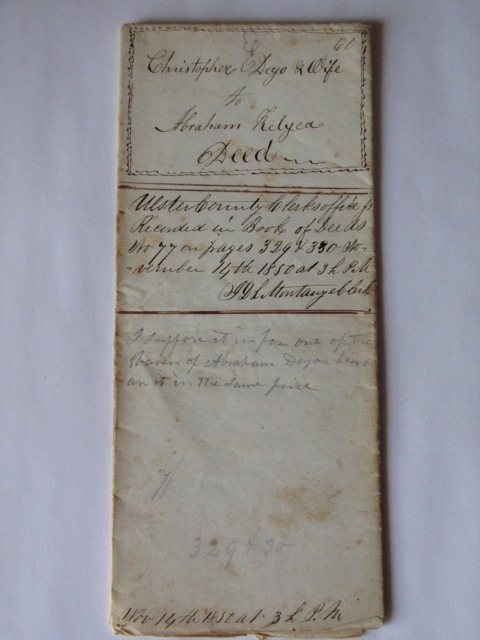 And in 1845 Anna also sold her portion of the farm back to Abraham Relyea. 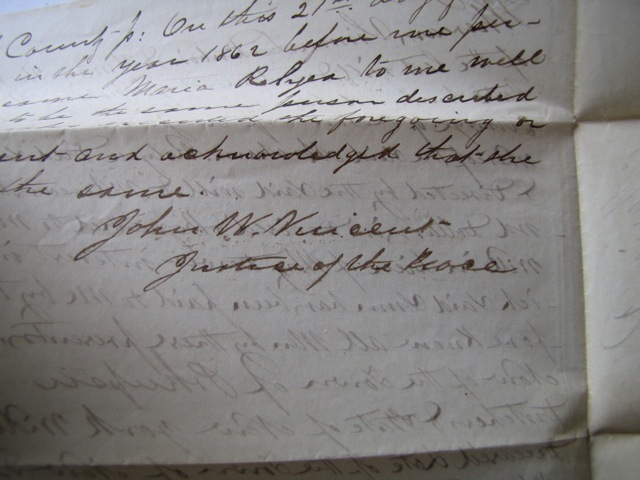 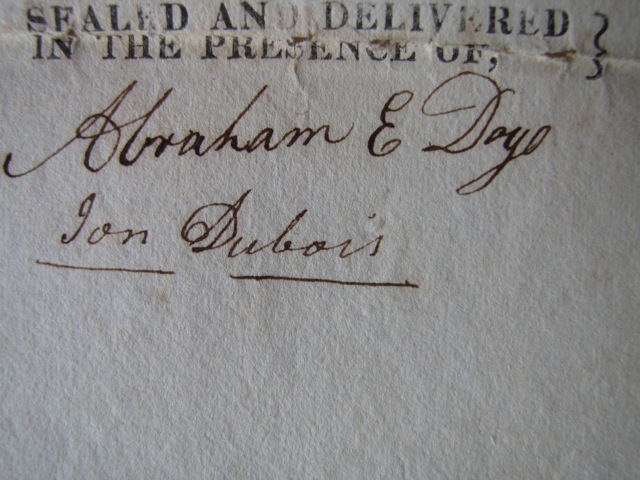 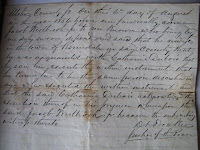 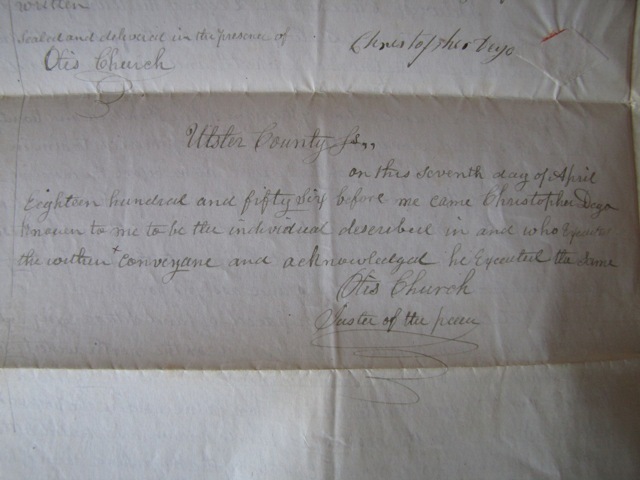 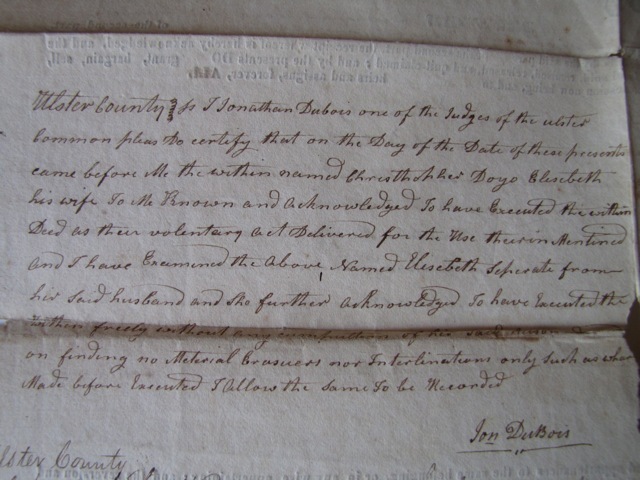 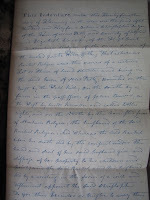 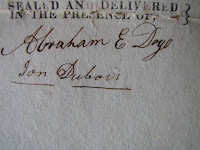 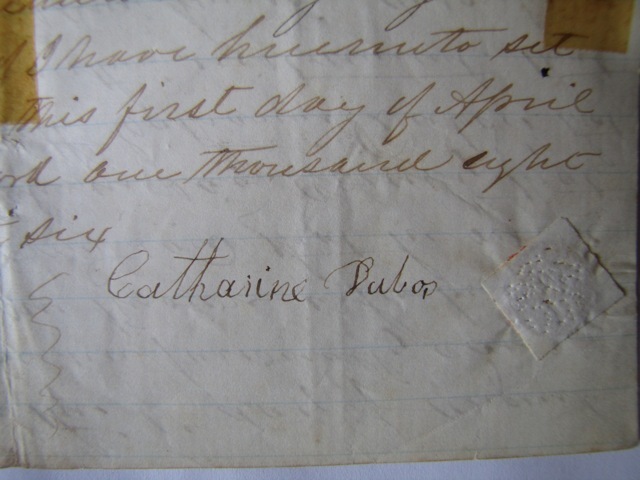 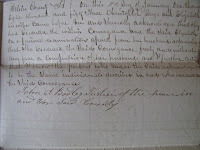 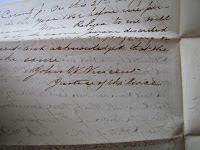 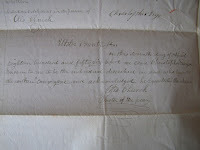 In 1850 Two documents that also seem to be part of the Heirs of Abraham. 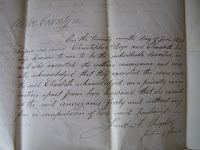 Interesting statement from the JP that she acting "freely and without fear or compulsion"
Then finally in 1862 Abraham Relyea had died and left his estate to his wife Maria. 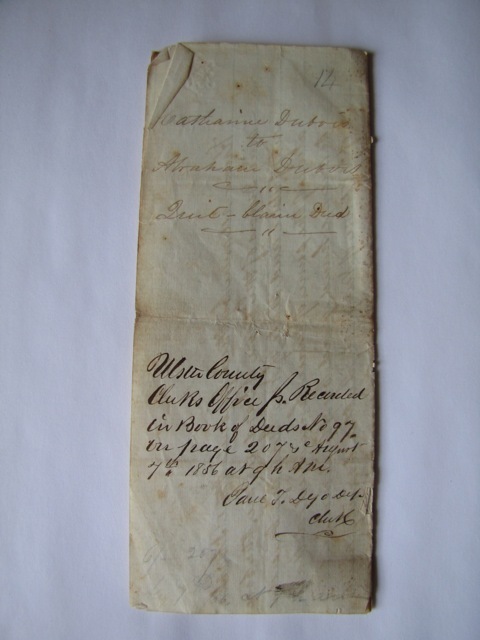 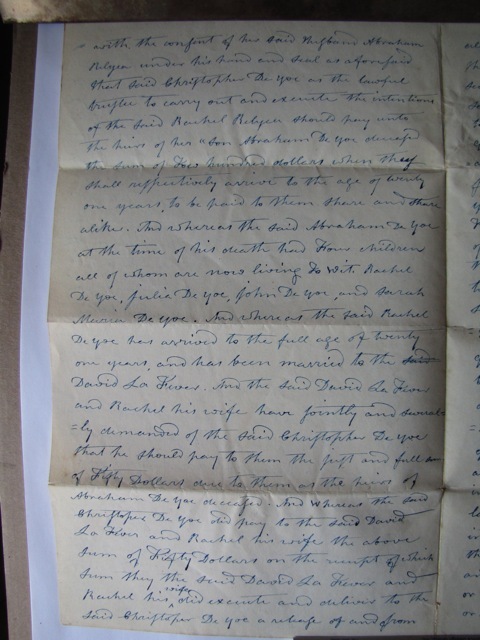 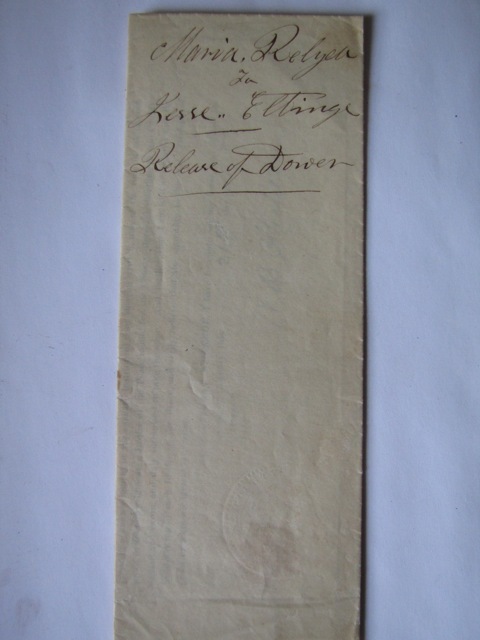 These documents show Maria Relyea giving her inheritance to Jesse Elting. 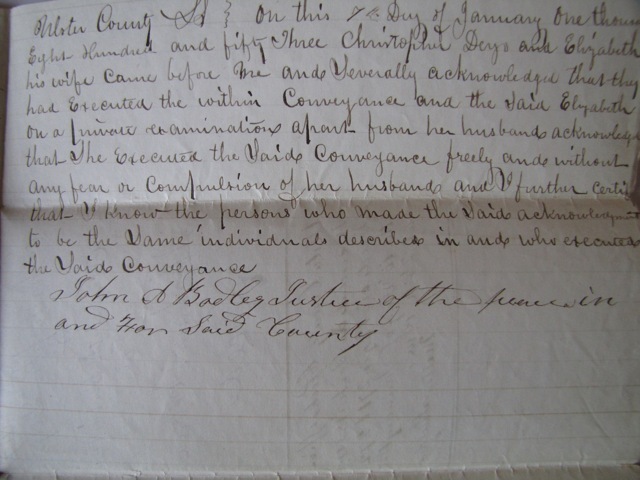 There is no mention of Jesse and Maria being husband and wife but interestingly enough Maria was also the name of Jesse's wife. 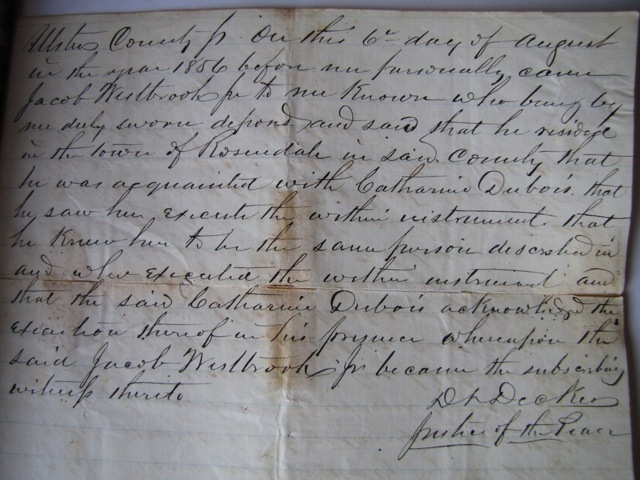 In 1869 I found a newspaper report of Jesse and Maria Elting putting a new roof on their home in Springtown. 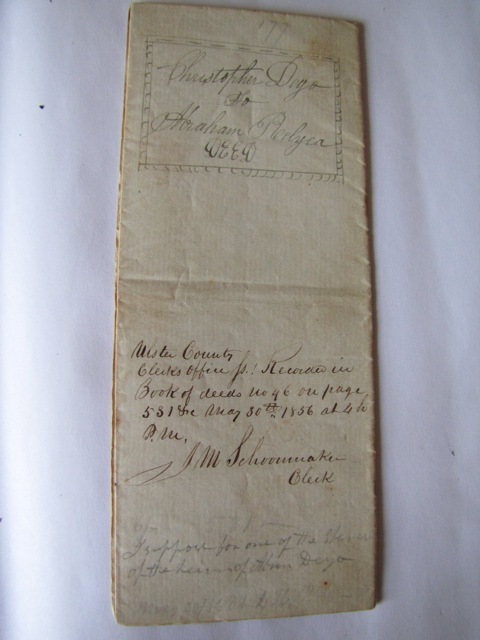 In 1872 Jesse and Maria Elting sell their 120 Acre farm on Springtown Road to Hiram Minard. 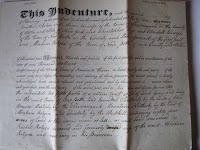 So, with evidence of the Maria and Jesse Elting selling the 120 acres to Hiram Minard we have the full documented history of the house ownership through to the present day. 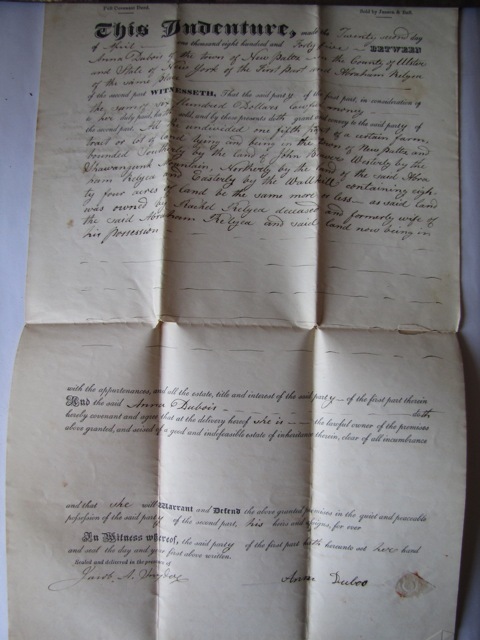 Minard Farm was broken up and sold in the 1930's and we have the newspaper ad for the Minard Farm sale. 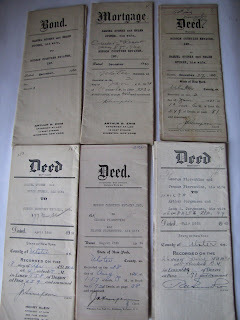 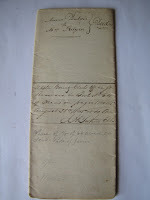 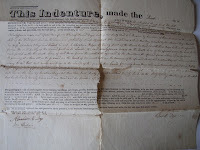 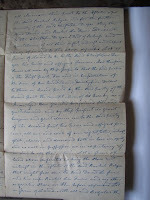 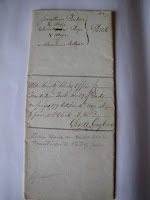 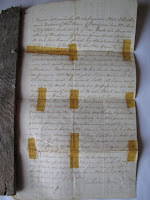 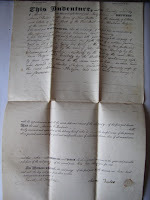 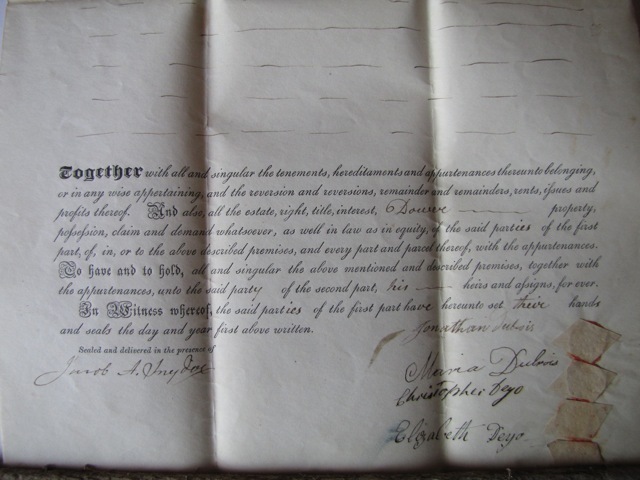 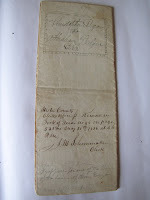 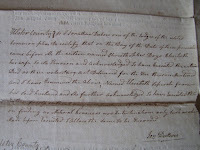 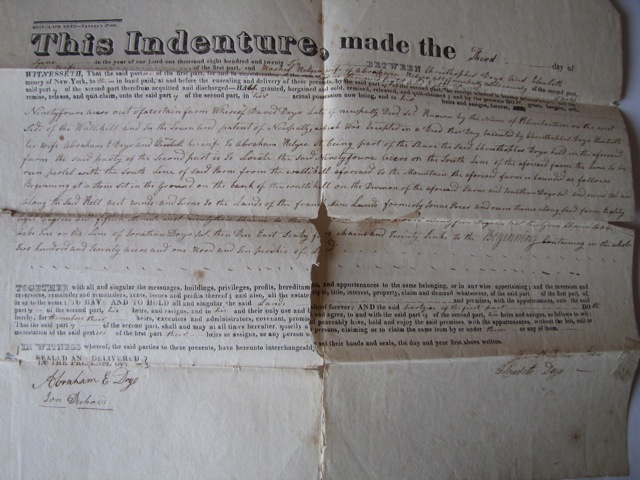 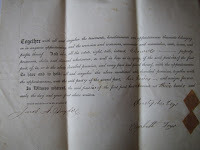 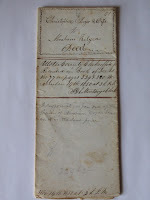 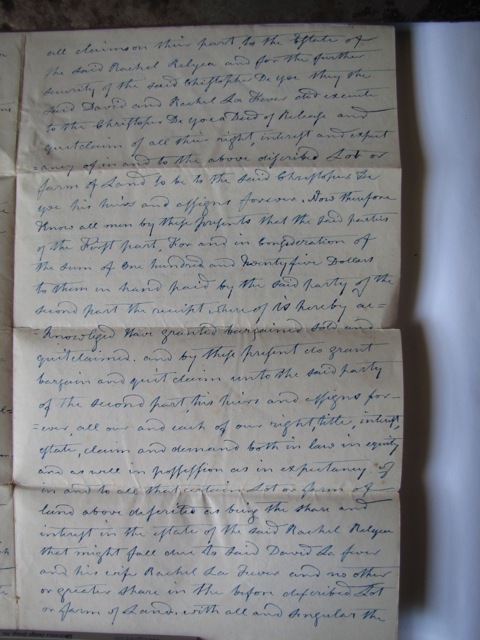 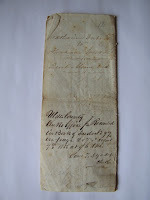 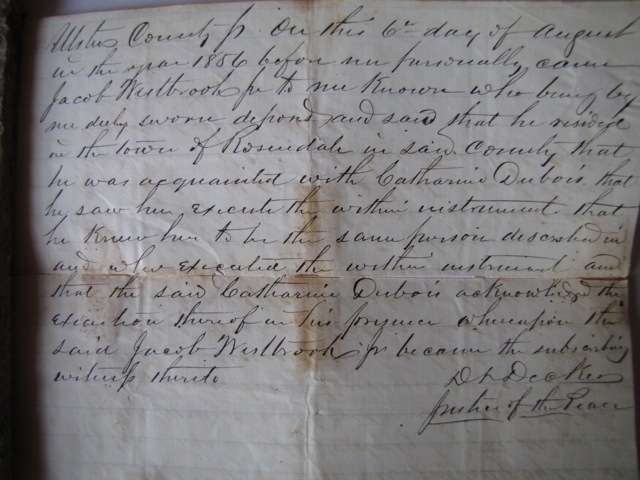 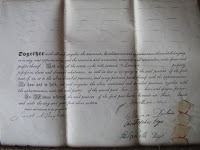 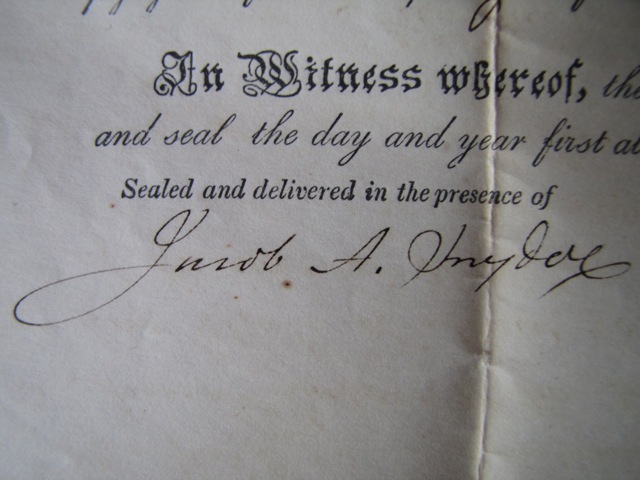 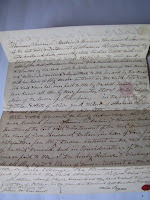 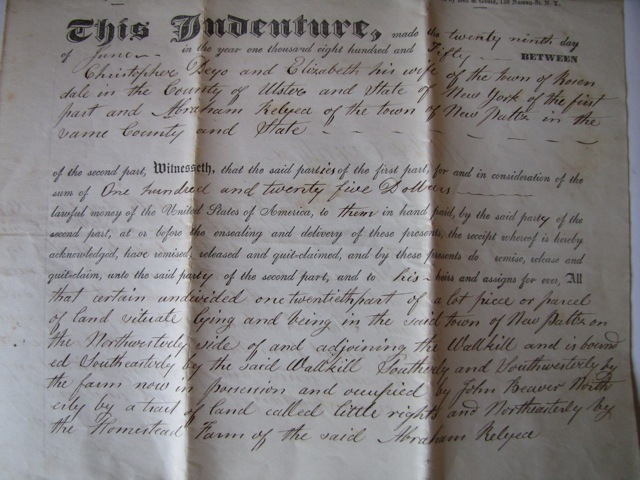 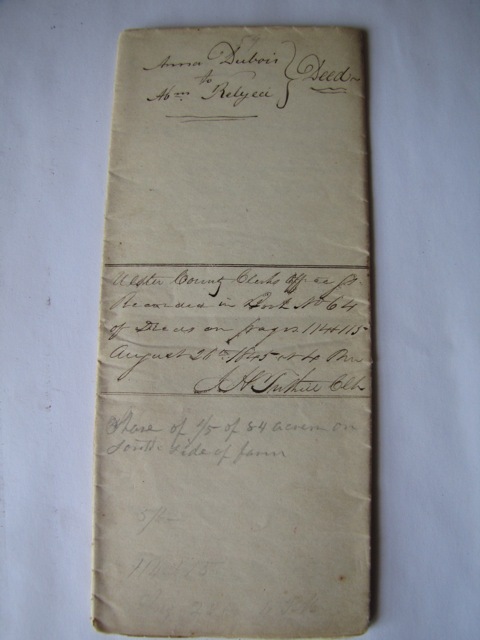 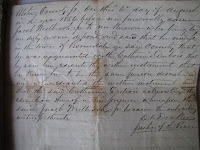 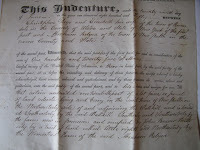 The deeds for our 10 acres of that original farm and the farm house are also in our possession.